Transparency is an insight into your daily operations that you can achieve by different means. Whatever you chose, bear in mind that investigating the real state of things needs to be as simple and easy as possible because a time-consuming action aimed at process improvement can compromise the value of the targeted process. Discovering how everything is working can make you face the sad fact of how inefficiently everything is optimized. Don’t get upset – just accept the challenge to improve things. Transparency: how do we achieve it? You can gather your team in the meeting room once a week and let everyone speak about the achievements of the past week and the plans for the upcoming week. The great thing about this method is collaboration, the weak point is the lack of analytical data. The main thing about these kinds of meetings is to keep them brief and not to hold them more often than once a week. Also, meetings can ‘kill’ productivity. Keep them brief and implement some sort of standard for them. If your team players need to spend hours to generate those reports, it’s better not to use this practice: they could have used this time for work. If it is possible, replace reports by work management software and time tracking features. Reports are sent by email which is also a weak point of this method because you get the additional work of dealing with those emails. It’s possible to share a file via one of numerous services with key points that need to be achieved by the end of the week and month. Either you, as a manager, can update this file yourself taking updates from the reports sent by emails, or – you can ask each on your team to update the file. The shared version of it brings transparency for everyone into what’s going on. You can hire a company which can audit your processes, interview your team and make workflow charts of how things are going. Needless to say that this method is one of the most expensive ones compared to the methods above. Comindware sees the way out of this situation – you can move forward with Comindware Tracker. When you just start using it, make it the task management software organizer for your team and create a task for any activity that your team players perform. By the end of the week you are going to have some data that Comindware Tracker can present in the form of dashboard statistics for you. By the end of the month you can analyze your current processes. Taking into consideration that Comindware Tracker offers free 30-day trial, this time is more than enough for this kind of activity. The difference with shared reports or updated Microsoft Excel status files is that information about the activity is requested by the software while this activity is being performed. Unlike usual Outlook tasks, this information is available online for each employee and the manager and is perfectly analyzable. Comindware Tracker gives you insight into what is going on in your company and collects data for you to find out about your processes – first step to their improvement. And this insight demands minimal effort from you and your team. When you have enough analytical data on your processes, Comindware Tracker offers you the means to proceed straight to the next step: automate those processes with workflow coupled with task management. Once you set up automated processes for your daily routine, if you keep using Comindware Tracker, you can bring smaller changes to your processes even when they are running. This is the explanation behind the word ‘flexibility’ that is scattered all over Comindware.com. 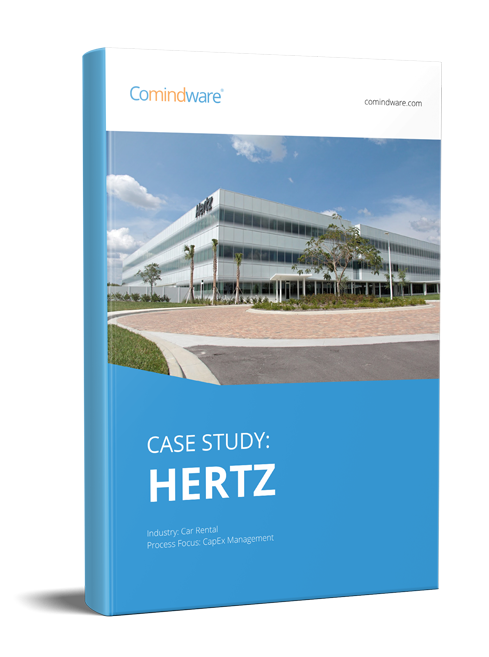 This way, the cost of process improvement and transparency with Comindware Tracker is reduced to minimum.